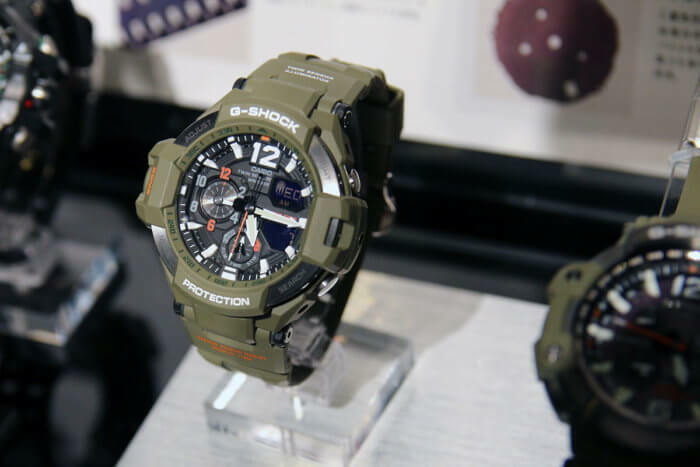 G-Shock is introducing another military-themed color series with the Master in Olive Drab Gravitymaster Series in October. This unique aviation collection includes the GPW-1000KH-3A, GW-A1100KH-3A, and GA-1100KH-3A. The watches have olive drab bodies and bands with black displays and orange accents. Update: Casio America announced the GA1100KH-3A model for November 2016 with a list price of $250 USD. 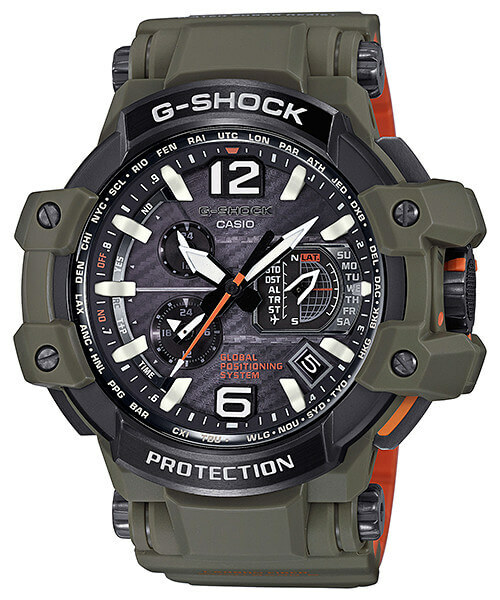 The GPW-1000KH-3AJF is a top of the aviation line GPW-1000 Gravitymaster model and features Tough Solar power, Triple G Resist (shock/g-force/vibration), GPS timekeeping, sapphire crystal, and carbon fiber insert band. 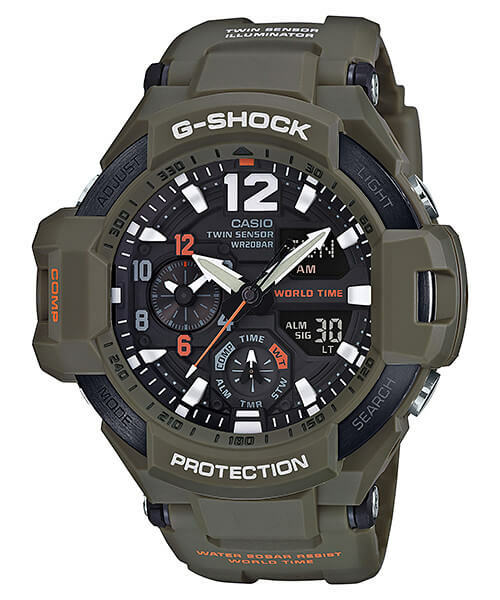 The GW-A1100KH-3AJF also has Tough Solar and Triple G Resist as well as Multi-Band 6 time syncing and a digital compass sensor. 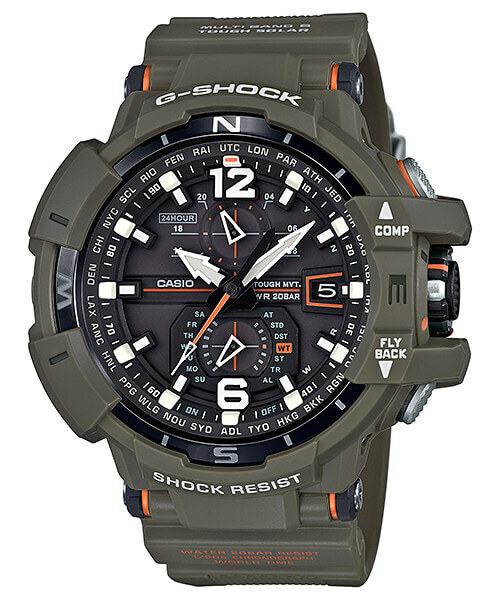 The GA-1100KH-3AJF is battery-powered and has a Twin Sensor with compass and thermometer. List price for the GPW-1000KH-3AJF is ¥100,000 JPY. 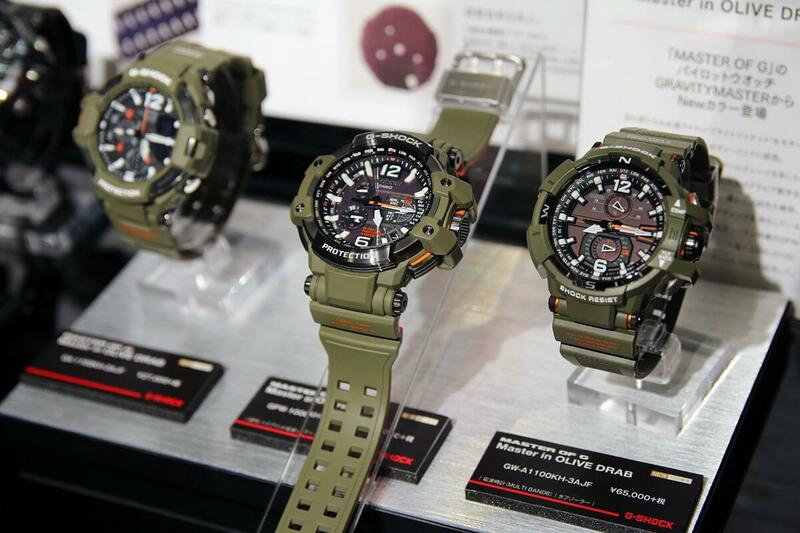 The GW-A1100KH-3AJF is ¥65,000 JPY and the GA-1100KH-3AJF is ¥27,000 JPY.